We hope everyone had a wonderful Thanksgiving! Of course, after the massive feasting comes the food coma and subsequent food hangover. And after that, comes holiday fun! Taking place all over the city are wonderful holiday time events to kick off the season. There are classics like the Radio City Christmas Spectacular, The annual Grand Army Plaza Menorah Lighting and the Nutcracker. There are also plenty of fun family events that are not holiday centric if you are already saying Bah Humbug! Whatever events you chose there's plenty to see and do. Here are this weekend's picks. Happy Chanukah! Tonight marks the first night of Chanukah, coming a little early this year on the eve of Thanksgiving (or what pop culture is now dubbing Thanksgivukkah). And as we all know, everything is just a little more “grand” in New York City. While you may light your Menorah at home with the kids, you can also check out two of NYC’s big Menorah Lighting celebrations. 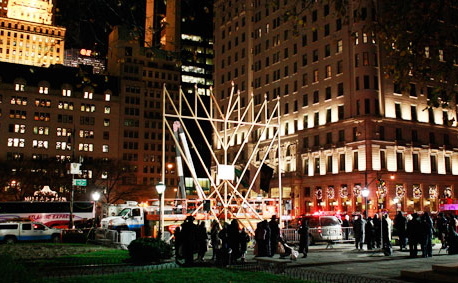 After all, NYC’s Menorahs are proclaimed to be the largest in the world. Within the 20 square blocks between Rockefeller Center and Times Square sit seven theme stores, built entirely around your child’s favorite toys or candy. They make for fun destinations on their own and for particularly delightful surprises to “happen upon” with your child (or, for that matter, your niece, nephew, grandparents and out-of-town guests). One of the many great things about New York is the wealth of theater opportunities it affords, especially for families—there’s no better to place to introduce kids to the excitement of live theater. We’ve rounded up a selection of shows for you to check out, from the classics to the offbeat, for younger kids and older, from the theater savvy to the novice—in fact, for anyone who wants a great New York theater experience. Every inch of my backyard is currently covered in brightly-colored leaves, and I’m sure the trees surrounding my home will be utterly bare by next week. I’m no detective, but I’m pretty sure this can only mean one thing: winter is coming! Although it’s getting frostier by the day, there’s no need to crank up the thermostat and hide out in your house until the spring thaw. There are plenty of exciting activities you can enjoy with your family all winter long (and I don’t mean calling up your friend with the working fireplace to invite yourself over every other week). The holiday is nearly here and NYC is packed with activities from everyone’s favorite Muppet-maker, Jim Henson. 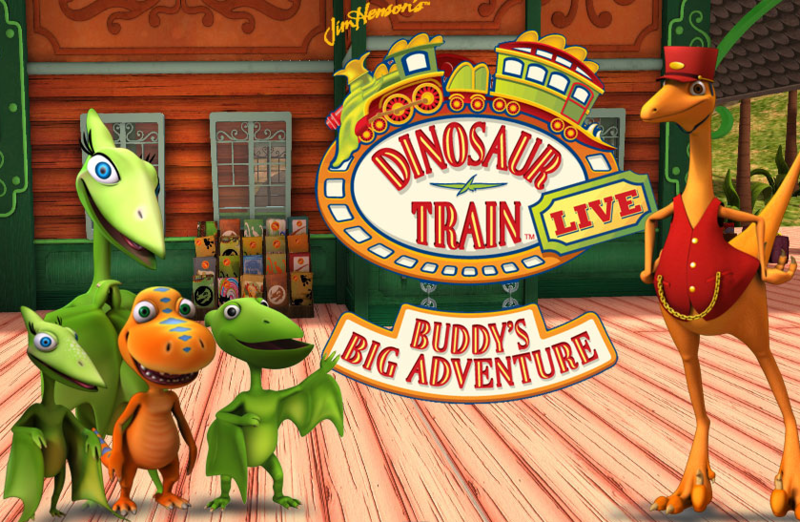 In addition to a film screening series at the Museum of the Moving Image, Jim Henson’s Dinosaur Train Live: Buddy’s Big Adventure will be coming to NYC for a limited engagement. Our city is at its best this time of year, when wreaths, lights, and beautiful window displays seem to soften the edges and our spirits. Check out our recap of tree lightings around town this month, bundle up the kids, and head out for some holiday cheer! Remember when The Muppets took over Manhattan? Well, guess what? The Muppets are staging another NYC based takeover that will be sure to get families excited. Starting on Friday, Nov 29, the Museum of the Moving Image will be hosting a monthly film series dedicated to Jim Henson’s beloved Muppets. The film series is part of a build-up to a permanent Jim Henson exhibit at the museum, which is expected to open in 2015. Brrrr! Ice Skating Season Has Arrived in Manhattan! There are very few places in the world as magnificent as New York City during the holiday season. More of a big snow globe than a big apple, the beautiful metropolis transforms itself into a virtual winter wonderland when December rolls around each year. Some of the most spectacular holiday sights in the city are those of its many scenic ice skating rinks, and this year we get to welcome a few new ones to the mix. So get ready to brave the cold, lace up your skates, and take your family out for some icy thrills and spills this winter at some of these awesome rinks in Manhattan. And don’t forget to warm up with some hot chocolate afterward! Here is the final article in our 5-part series on spots in NYC to throw an amazing children's birthday party. Is your child always asking questions? Explore the world while creating terrific birthday memories at one of these interesting locations. Halloween isn’t the only time of year when kids get to enjoy sweet treats. With the holiday season rapidly approaching, the scent of more tasty confections is once again in the air. 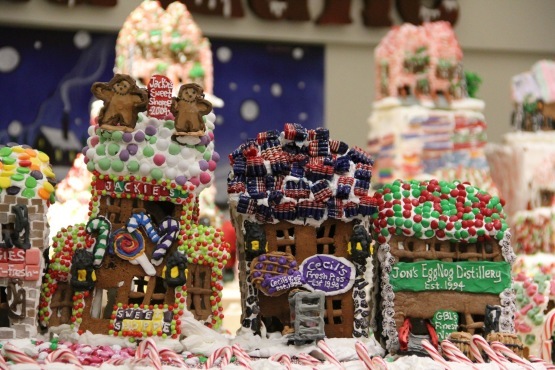 This week, Gingerbread Lane opens at the New York Hall of Science. This may not seem like a scientific exhibit to some, but the 1.5 ton, 300-square-foot village (made entirely from gingerbread and other sweet eats) is a contender for a Guinness World Record. Not old enough for the adults table, but not young enough for the kids table either. Yes, it's the tweens. Let's be thankful we have them because otherwise how would we manage all of our selfies, Instagram accounts and other tech related fun? So let's treat them to a weekend of partying. This weekend along with the great family events, we have focused on some super fun tween events. Be sure to check out some Menurkeys and Thanksgivvukah events this weekend as well. Here are this weekend's picks. We’ve seen several great Disney animated films get the Broadway treatment over the past decade. 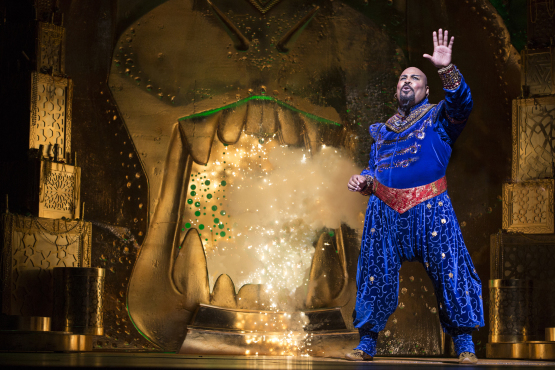 Theater shows like The Lion King and The Little Mermaid wowed us with their great set pieces. Of course, my favorite Disney flick turned Broadway musical was undoubtedly Beauty and the Beast, which is probably also my favorite Disney flick from the studio's comeback in the late 1980s and early 1990s. Here is part 4 of our week-long series on spots in NYC to throw an amazing children's birthday party. Your child has seen every episode of MasterChef and is convinced he can do better. Cultivate your little foodie’s love of fine cuisine (or her simple appreciate of delicious sweet treats) by throwing a party where food is the main event. Here is part 3 of our series on spots in NYC to throw an amazing children's birthday party. Does your child’s idea of a great time involve breaking out watercolors, pottery, or props to use in his one-man show? Maybe she knows the floor plan of the Metropolitan Museum of Art by heart or can effortlessly take apart your television and put it back together. If so, one of these crafty parties will color him/her happy. Here is part 2 of our series on spots in NYC to throw an amazing children's birthday party. Your children aren’t the sitting still types. Instead of fighting their urge to stretch, throw, catch, climb, and run wild and free, work with their energy levels by hosting a birthday party at one of these great venues that will keep them moving. Parents who live in the city that never sleeps often find themselves desperate for one thing: sleep! 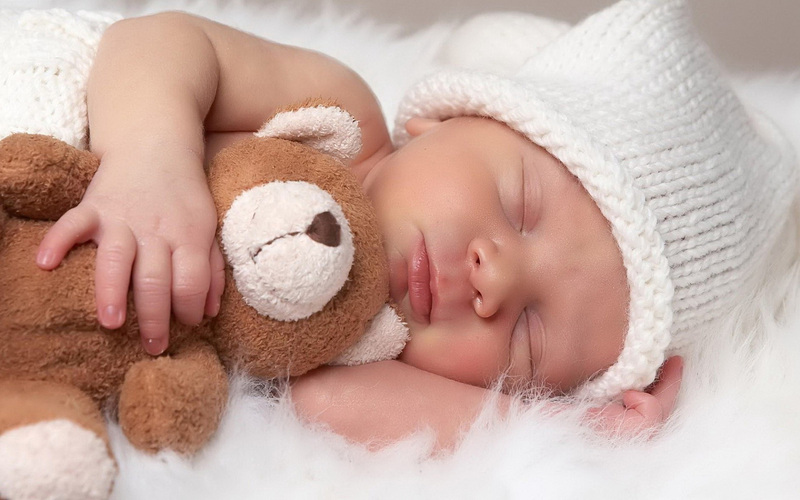 From the up-every-hour newborn to the teething-induced sleeplessness to the older sibling who wakes up his younger brother every day at 4am, parenting can often feel like one long quest for a good night's sleep. Sure, you could host your child’s birthday party in your apartment—if you’re in the mood to clean prior to the event, cook and bake for hours, fiddle with unruly strands of crepe paper, serve as a cruise director to 25 excited kids, and clean up after 25 excited kids who, in their excitement, spilled a pitcher of fruit punch and plates of cake on the carpet. Trains! Trains! Trains! If you’re in midtown this holiday season, you’ll want to do the locomotion right over to Grand Central Terminal. 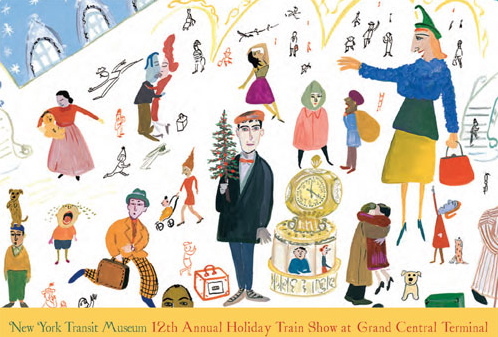 The New York Transit Museum’s 12th Annual Holiday Train Show gets rolling on November 16. Since Grand Central is celebrating its Centennial, this year’s show has some special activities and visual treats that kids will love enjoy. Plus, it’s all free. This is part of a series of guides to help you plan a rewarding and fun visit with your child to museums around New York City. The Museum of the City of New York, which sits on Fifth Avenue at 103rd Street, is like the city’s attic, filled with old letters, children’s toys, dishes, clothing, magazines, flyers, household utensils and boxes. Right now, the museum is in the midst of “cleaning” its attic, and it won’t reopen in full until 2015. But, it still makes a fine hour-long stop, perhaps combined with a walk in Central Park just across Fifth Avenue. If there’s one thing I love about the holidays, it’s the chance to see all the wonderful train displays around New York City. Several malls or department stores setup meticulously detailed environments for their model trains to tour. But what do you do when you want to see trains outside of the standard, holiday shopping madness? Well, you’re in luck. The holiday season also means The New York Botanical Garden's “Holiday Train Show” in the Bronx is back in town. Shake off the cold with some dancing this weekend! Symphony Space is having a fun family concert and so is El Museo and Carnegie Hall. Plus there are Chanukah concerts going on all over the city. If you left your dancing shoes at home then head around NYC for some great family shows from LaMaMa kids and the Swedish Cottage Marionette Theatre or check out the train shows at Grand Central or the New York Botanical Garden. Brooklyn rounds out the weekend fun with a different type of dancing shoe, skates! It's the McCarren Rink opening weekend and also Disney on Ice. So lace up whatever it is your wearing on your feet and head out for some family fun. Here are this weekend's picks. 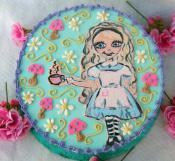 Did you know that there was a history lesson in Lewis Carroll’s famous tea party from “Alice’s Adventures in Wonderland”? No? Perhaps the creators of ABC’s Once Upon a Time didn’t know either. This week, “The Power of Poison” opens at the American Museum of Natural History. It’s a foreboding name, but there’s a lot of mystery and wonder for kids to discover in this exhibit. For instance, they’ll learn that the name Mad Hatter has some historical significance, which came from hat makers who suffered from Mercury Poisoning in the 1700s. With hundreds of children’s birthday parties taking place in New York City each weekend, parents are always looking for the best themes, event spaces, ideas and affordable options out there. Children’s entertainers are plentiful in a city as big as New York, and while there are many options and varieties to choose from, if you’re just looking for a pure singing entertainer that will make your children (and adult guests) happy, here’s a list of some great ones to play at your next gig, and keep your kids entertained and focused while hyped up on pizza and birthday cake! On a gray section of 18th Street, a magical window display: stacks of children’s books, brightly colored—a storybook bookshop. Once inside, the magic continues. 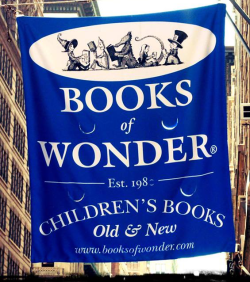 Books of Wonder is the sort of place where a wise bookseller hands you a volume that may just change your life. For many, many generations, cooking was a family affair. Fast forward to space- and time-deprived New York City and many families hardly cook at all, let alone with their children. However, cooking with your kids has been shown to have many benefits, including a greater willingness to eat healthy foods, opportunities for meaningful conversation between children and parents, minimizing the time children spend in front of a screen (computer, TV, iPad, etc.) and reduced incidence of drug abuse. As the temperatures begin to drop, the world can begin to shrink for New York City moms whose kids thrive on hours at the playground, exploring the city’s parks, and riding their scooters down the block. Although the chilly weather may limit your time outside, it doesn’t have to limit your opportunities to get out of your apartment. Here are some of our favorite alternatives for indoor play (classes and beyond) this winter. This weekend we raise awareness in thanking the veterans and honoring them for their service. 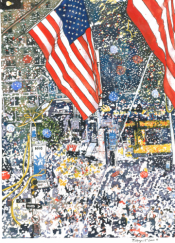 There are lots of Veterans Day events going on but also lots of other fun family things to do. 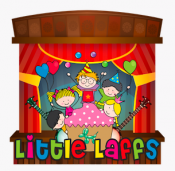 Hip Tot is having a party in Brooklyn, The Dirty Sock Funtime Band is performing in the East Village and Little Club Heads is having a dance party in FiDi. Happy Veterans Day weekend to all. Here are this weekend's picks. In NYC, ice-skating is one of the big holiday treats to look forward to each year. From Rockefeller Center to Prospect Park, New Yorkers are gearing up for a winter of skate-happy fun. 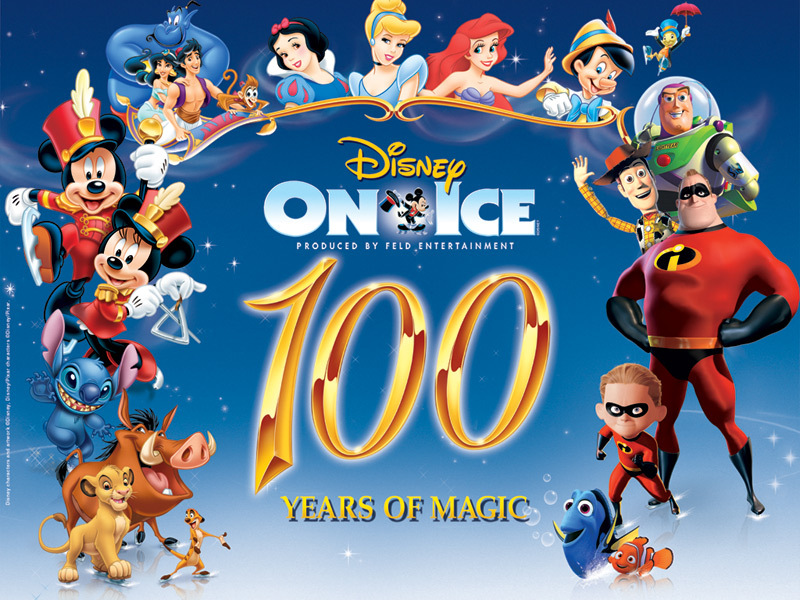 This year, the Brooklyn’s Barclays Center is getting into the holiday spirit by hosting Disney on Ice, starting November 12. The one week show, entitled “Let’s Celebrate,” features Disney villains on a Halloween haunt, a very Merry Unbirthday Party with Alice and the Mad Hatter, a Disney Princess Ball and a Hawaiian luau with Lilo & Stitch. 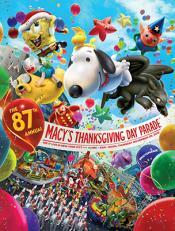 Kids can look forward to appearances by Mickey Mouse, Minnie Mouse, Goofy, Buzz Lightyear from Toy Story, and more. Within its lush 585 acres, Prospect Park boasts lots of great playgrounds. Use this guide to determine which playground is right for your family, or hit them all in a one-day playground extravaganza. For me, Veterans Day is not just another three-day weekend or merely a good day to find some early holiday sales at the mall. Veterans Day is a time to show appreciation and give thanks to the men and women of America’s Armed Forces for the sacrifices they have made throughout our nation’s history and continue to make every day. This day is very special to my family in particular because my own husband is a war veteran. He was stationed in Iraq when our first child was born; father and son did not meet until three bittersweet months later. Our little boy is now five years old, and he is very proud of his dad. It may be Election Day, but for kids, it’s “Diary of a Wimpy Kid” day in NYC. Book 8 of Jeff Kinney’s popular book series launches nationwide today and there will be plenty of book release parties to celebrate with. 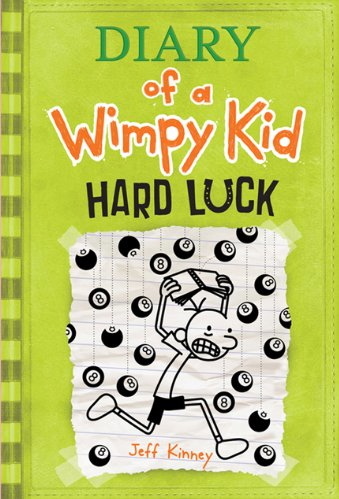 After you’ve had a chance to vote, you and your children can head down to your nearest bookstore to pick up a copy of “Diary of a Wimpy Kid: Hard Luck.” Barnes and Noble will be hosting several book release parties at its retail stores. At some point you may find yourself watching your toddler cut a rug to every song you play – whether it’s Handel or heavy metal. You might just wonder: did he actually inherit the great dance gene that skipped right by me? Or is she just so full of energy she’ll use any excuse to get up off the floor and go bonkers with a tambourine in hand? Nothing says cold weather and winter like a warm cup of cocoa and Manhattan has no shortage of amazing offerings in this department. Here are some of our favorite spots to warm up with your kids this winter as we settle in for the cold winter months ahead. Now that Halloween is behind us, it won’t be long before the holiday rush begins to take over NYC. While toys, dresses and games are always great gifts, nothing quite beats the gift of a good book. Well, that’s my opinion at least. November is filled with several author readings around the city worth checking out. Book readings are a great way to get your kids interested in new books and to meet other kids and parents. And they're off! This weekend marks the famous NYC Marathon. Get in the spirit by running around town to all of the great family events happening. Help celebrate Diwali, the Hindu festival of lights and New Year celebrating family, friendships and good fortune. And speaking of light, don't forget that Daylight Savings time ends this weekend. 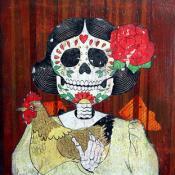 You can also help celebrate Dia de los Muertos which honors the memory of ones who have passed. And celebrate winter, as the rink is open again at Bryant Park! So eat your pasta on Friday and make your own tin foil cape to wear after you finish racing around town at all of this weekend's events. Here are this weekend's picks.